If you leave the station you are basically standing in front of Antwerpen Zoo. It is a beautiful old-fashioned Zoo which I loved to visit. However, being the animal lover I am, I would prefer a bit more spacey places for the animals. A bit more in my price range, you will find de Meir close to the station. A long beautiful shopping street (see picture) with historic buildings and all your favourite chains like Zara, the body shop, Yves Rocher, ici paris and more. Here you also find one of the two Lush stores in Belgium, so you can imagine where I went when I had half an hour to spare during the conferences lunch break. Prices are not very low in Belgium, so prices are okay but not a bargain, however, for us Belgian residents it is one of the few possibilities to shop in those stores without leaving the country. Beside that there is a palace, in the middle of the shopping street. Can you imagine? In previous times guests like Napoleon Bonaparte, Willem I of the Netherlands and the Belgian royals used to reside here. Now however, everybody can visit it, have lunch and enjoy some Belgian pralines. 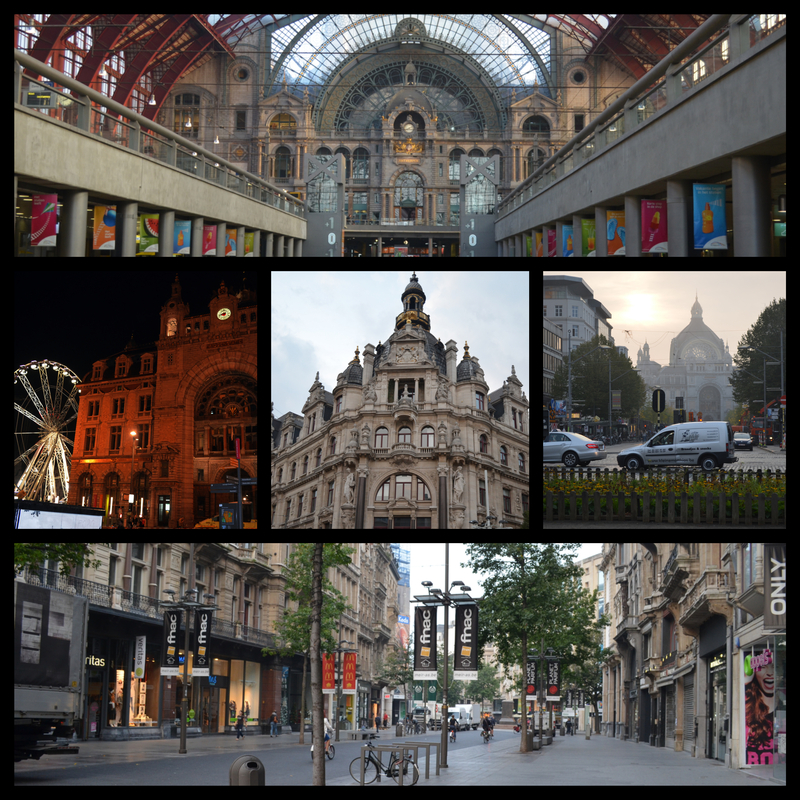 Antwerp is a true fashion city with the royal academy and the fashion districts, housing all the big names and up and coming designers. I love to do some window shopping there (which is all i can afford in this district really). So if you find yourself in Belgium with time to spare, Antwerp is truly worth a visit. 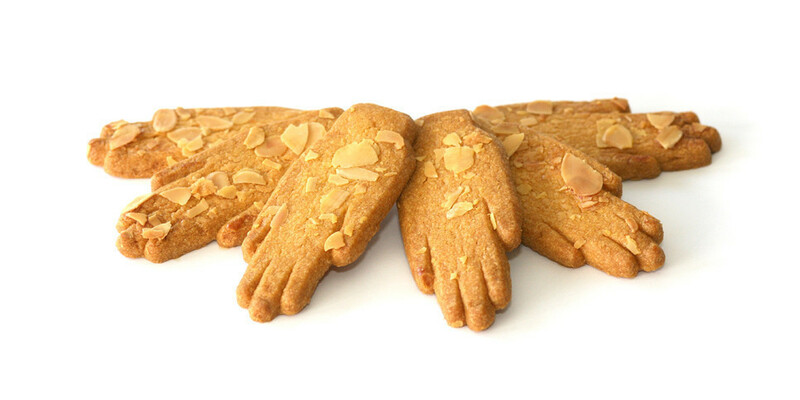 If you should pop by, do not forget to buy a box of hands. Yes, hands! The name of the city "Antwerpen" is derived from the two dutch words "hand" and "werpen" meaning "hand"(pretty obvious) and throwing. There is several stories how Antwerp got its name. My favourite involves a giant called Antigoon. He demanded a toll to be paid to him when a ship wanted to pass the river streaming through Antwerp. If the sailors weren't able to pay or refused to, he cut their hands of and threw them into the river. This was until young roman named Silivius Brabo defeated the giant, cut of his hand and through it in the river. Because of that story, the Antwerp hands were invented. Little cookies in hand shapes. And to be honest i love to eat a few when i come because i just love such stories. Any of you have been to Antwerp. You have favourite places in Antwerp? Let me know in the comments! Am i being good enough?